We have the pleasure to inform you that your company is kindly invited to participate in the China International Import Expo (CIIE). This international fair will take place at the National Exhibition and Convention Center in Shanghai from 5 to 10 November 2018. High-end intelligent equipment; consumer electronics & appliances; apparel, accessories & consumer goods; automobile; food & agricultural products; medical equipment & medical care products, trade in services (tourism, education, emerging technologies, culture, creative design and service outsourcing). More information and booking details can be found at the official website of the National Exhibition and Convention Center (Shanghai): www.neccsh.com. 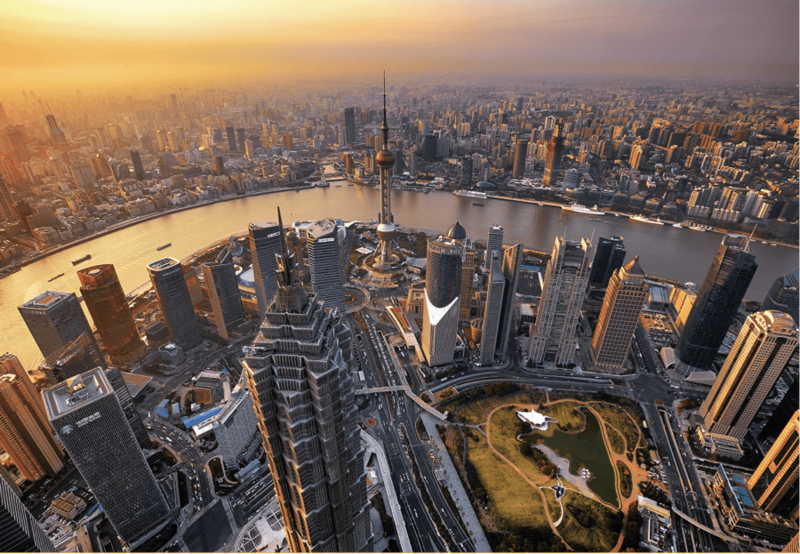 If you are interested in participating, contact Flanders Investment & Trade Shanghai, the contact point for Belgium for CIIE at shanghai@fitagency.com. We also kindly ask you to send an e-mail to gwenn.sonck@flanders-china.be. On 16 March at 9h30, an information session on the China International Import Expo (CIIE) will take place at Tangla Hotel, Brussels, Avenue E.Mounier 5, 1200 Woluwe-Saint-Lambert. HE Mr. Qu Xing, Ambassador of the People’s Republic of China to the Kingdom of Belgium and Mr. LI Jinqi, Director General of China Foreign Trade Center will be deliver a keynote speech. After that there will be Q & A session during which you can ask any question regarding to the Expo. A formal invitation will follow. If you are interested to participate, we kindly also ask you to send an e-mail to gwenn.sonck@flanders-china.be. President Xi Jinping did not attend the annual World Economic Forum meeting in Davos this year – as he did last year. Instead he sent his top economic advisor Liu He to the meeting. Liu He is a strong candidate to become a Vice Premier responsible for economy and finance when the National People’s Congress (NPC) approves the composition of a new Chinese government in mid-March. Liu is the Director of the Office of the Central Leading Group for Financial and Economic Affairs and Vice Chairman of the National Development and Reform Commission (NDRC). At the 19th Chinese Communist Party Congress in October last year he became a Member of the Politburo. 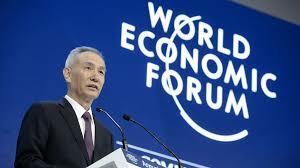 In his speech, Liu He told the Davos meeting that China would open its domestic markets wider and that this year’s reform measures could “exceed the international community’s expectations”. The financial sector, manufacturing and services industries, intellectual property rights, and imports are the four key sectors targeted for reforms this year. The principal contradiction in China’s economic development is the structural mismatch resulting from the supply side failing to evolve in step with demand. This aspect of China’s economic policy urgently needs to be fixed, he said. The priority, he emphasized, is to cut excess capacity where necessary, reduce inventory in the housing sector, bring down the overall leverage ratio, lower costs across the board, and strengthen the weak links in the economy, ranging from public services to infrastructure and institutions. He was the only policymaker who is not a state leader to speak in one of 10 sessions hosted by WEF Executive Chairman Klaus Schwab. Other speakers who took the chair beside Schwab include U.S. President Donald Trump, German Chancellor Angela Merkel, UK Prime Minister Theresa May, French President Emmanuel Macron and Indian Prime Minister Narendra Modi. Liu attended the Davos meeting for the first time in 1993 as a junior government official and last year he was in the audience when President Xi Jinping warned that a trade war would benefit no one. Watch Liu He’s speech on YouTube (with English simultaneous translation). Tencent Holdings, China’s biggest internet company, may jointly invest in French retail giant Carrefour’s struggling Chinese operations with supermarket operator Yonghui Superstores, as part of a broader strategic partnership to boost the bricks-and-mortar business through the use of data analysis and mobile payments. 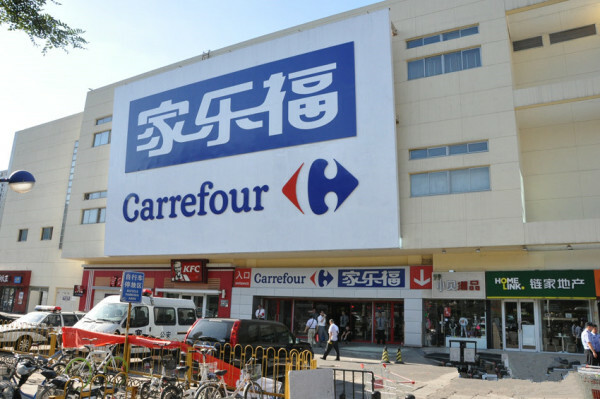 “The potential investment will leverage Carrefour’s global retail knowledge with Tencent’s technological excellence and Yonghui’s operational know-how and in particular its deep knowledge of fresh products,” Carrefour said in a press release, without saying how much the investment will be. Carrefour has also agreed to explore a partnership with Tencent in which the Shenzhen-based company will lend its digital expertise. Carrefour will remain the largest shareholder of the China unit, it said. Tencent said it looked forward to “cooperating with Carrefour in further enriching the retail and services experience” for its users and enhancing Carrefour’s services with Tencent’s technological capabilities such as mobile payment, digital membership programs, customer acquisition and cloud services. China’s internet giants have been trying to find new growth engines for their business by either partnering with established offline retailers or rolling out their own bricks-and-mortar chains, including unstaffed stores. Tencent’s foray into retail follows an expansion by Alibaba Group and JD.com into physical shopping in what is dubbed “New Retail”, in which online functions such as payments, delivery and logistics management are integrated with shopping in physical stores. For Carrefour, the investment and partnership is the latest step in its attempts to stem a decline in sales in China, where it operates hypermarkets and convenience stores. Sales declined 5.4% in the fourth quarter amid increasing competition from local chains, the South China Morning Post reports. China and the United States are facing a breakdown in communication as trade tensions escalate and Washington mulls taking increasingly harsh measures against Beijing, warn former U.S. trade officials. The U.S. Trade Representative Office announced it would impose tariffs of up to 30% on foreign solar panels, specifically blaming China for its “artificially low-priced” exports. It also announced up to 50% penalties and import quotas on foreign-made washing machines. China’s Commerce Ministry hit back, expressing “strong discontent” and blaming the U.S. for “abusing trade remedy measures” and “deteriorating the global trade situation”. Speculation that the world’s two biggest economies are headed towards a possible trade war has gathered steam since the U.S. suspended the Comprehensive Economic Dialogue late last year and as U.S. President Donald Trump continues to lash out against what he views as China’s unfair trade practices. “As far as we’ve been able to tell, there has been a strong debate going on at the most senior level in Washington on how to deal with China on trade issues,” said Timothy Stratford, former Assistant U.S. Trade Representative. “One reason that there has not been a lot of communication between the two countries on these issues is that the administration is having a debate and working out what they should do. It is hard to communicate until they resolve that very difficult question,” said Stratford, now Managing Partner at the Beijing office of the Covington and Burling law firm. Another clue about U.S. intentions could come after Trump delivers his state-of-the-union speech on January 30 and the U.S. government releases a report into China’s alleged intellectual property thefts. Further actions, including tariffs on other Chinese exports and investment restrictions on Chinese firms seeking to access the U.S. market, are also expected. The U.S. Trade Representative Office, led by Robert Lighthizer, has labelled U.S. support for China’s accession to the World Trade Organization (WTO) in 2001 a mistake, and called senior-level dialogue ineffective. “Hopefully both sides would communicate and explain what they are doing and why they are doing it, so that each side can respond in a measured way and not take extreme actions that would make the situation worse,” Timothy Stratford said, as reported by the South China Morning Post. If the U.S. imposes more tariffs on imports of Chinese products, the country could retaliate by reducing its USD1.7 trillion in U.S. Treasuries, analysts said. Chinese investment in Europe and North America retreated in 2017 in tandem with China’s posting its first fall in overseas direct investment (ODI) globally since 2006 as stricter rules were imposed. Chinese ODI into North America fell sharply by 35% to USD30 billion last year as the government unveiled policies restricting outbound investment, said a report of global law firm Baker McKenzie and consulting company Rhodium Group. Although ODI into Europe soared 76% to USD81 billion, the growth was solely due to the delayed completion of ChemChina’s record USD43 billion takeover of Swiss agribusiness company Syngenta. If this mega deal had not been completed in 2017, Chinese investment in Europe would have tumbled 22% to USD38 billion. China’s global ODI flows fell by over a third in 2017. “The main reason for the fall was guidelines introduced by the Chinese government imposing additional restrictions on outbound investment to address balance of payment concerns and mitigate perceived risks for China’s financial system arising from rapid overseas investment,” Baker McKenzie said. Additionally, Chinese ODI faced growing regulatory scrutiny in many host countries. The Committee on Foreign Investment in the U.S. (CFIUS) was especially strict in its monitoring that at least seven major deals were impacted greatly. Also Chinese capital controls introduced in late 2016 greatly slashed the average size of deals announced in 2017 across all industries and investor types. The deals fell from USD626 million in North America in 2016 to USD282 million last year, and in Europe they declined from USD346 million in 2016 to USD162 million. “The momentum of deals involving Chinese investors dropped sharply from Q3 2016 to the first half of 2017,” said Mike DeFranco, global head of M&A at Baker McKenzie. “Now that it is clear how the rules have changed for Chinese investors at home and abroad, activity is picking up, and 2017 was still the second-best year on record in North America and technically the best in Europe, despite all the challenges for dealmakers,” he said. Chinese investors, however, canceled or withdrew 19 announced deals worth over USD12 billion in North America and Europe in 2017, compared with 30 deals cancelled in 2016, the Shanghai Daily reports. China will also launch a campaign to more closely scrutinize overseas mergers and acquisitions (M&A) carried out by Chinese companies, with an emphasis on deals worth more than USD300 million. The Ministry of Commerce’s new directive clarifies that registration-based approval for overseas investment will be given only to applications “providing information of the ultimate investment targets”, while investment in offshore shell companies will need to undergo thorough checks. Under the new directive, outbound investments worth more than USD3 million will be “key supervision targets”, in addition to investments in “sensitive regions and sensitive industries”.